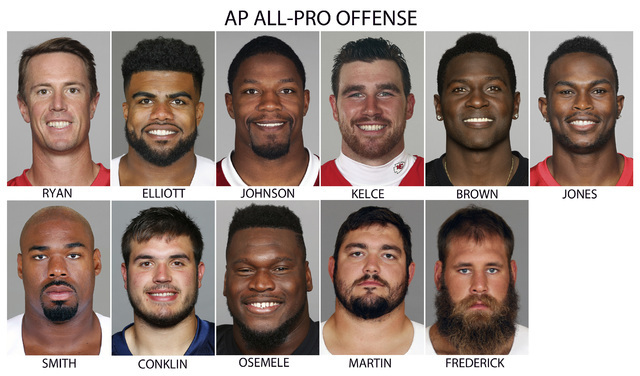 The Associated Press 2016 NFL All-Pro Team is showing off the new wave of pro football stars. 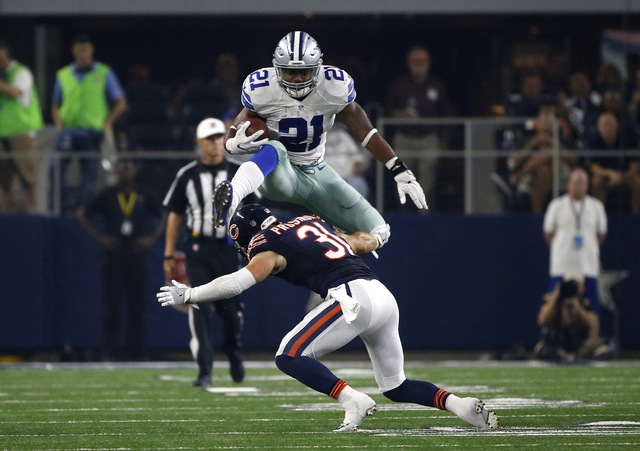 Three rookies among 17 first-time selections highlight the team, including Dallas running back Ezekiel Elliott, and Kansas City’s Tyreek Hill. 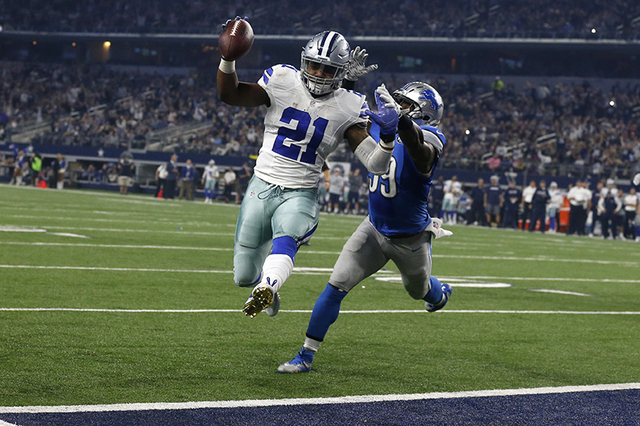 Three rookies among 17 first-time selections highlight the team, including Dallas running back Ezekiel Elliott, and Kansas City’s Tyreek Hill, who is a unanimous choice as a punt returner. Atlanta quarterback Matt Ryan, edging New England’s Tom Brady, who was suspended for four games, is another first-time All Pro. 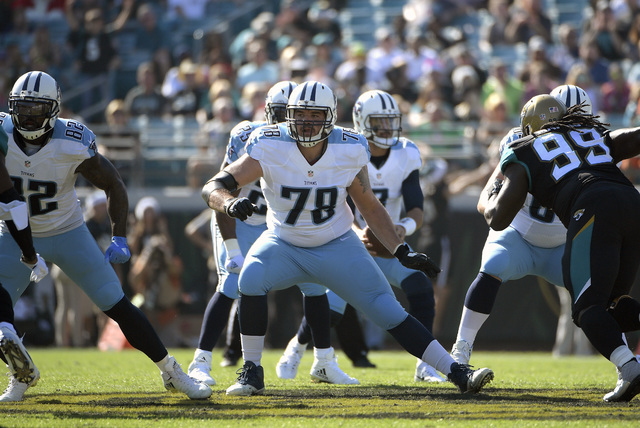 Tennessee right tackle Jack Conklin is the other rookie making the revamped roster announced Friday. “It’s special,” Elliott said. “Just to be able to come into this league my first year and dominate and just play at the level I’m playing, and just kind of get these honors already as a rookie, it means a lot. I was never even All-American in college. I was never a first-team All-American. I’ll never get a Buckeye tree at Ohio State. That’s the one thing that I regret the most. It’s the first time since 1981 that so many first-year players made the team. Back then, it was future Hall of Famers Lawrence Taylor and Ronnie Lott, and 1980 Heisman-winning running back George Rogers. Other first-timers include Arizona running back David Johnson (flex); Denver cornerback Chris Harris Jr. (DB); and New England’s Matthew Slater (special teamer). One other unanimous pick is Baltimore placekicker Justin Tucker. 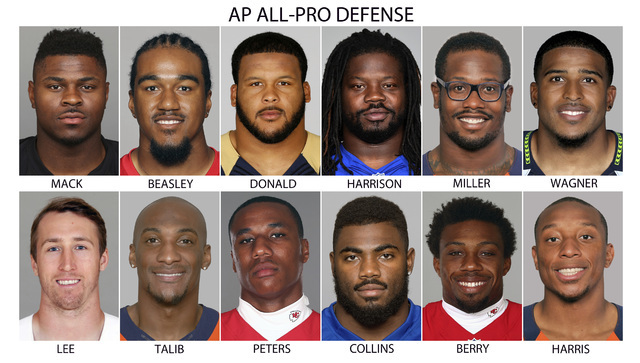 With only seven repeaters from last season’s squad, the All-Pro Team has a decidedly new flavor not only in alignment, but makeup. Not surprisingly, the Cowboys have the most players selected with five: Elliott, the league’s leading rusher; linebacker Sean Lee; and offensive linemen Tyron Smith (left tackle), Travis Frederick (center) and Zack Martin (right guard). Ryan, the league’s top passer (117.1 rating, 38 touchdowns, 7 interceptions), is one of three Falcons, joined by edge rusher Vic Beasley Jr., the NFL’s sacks leader with 15 1/2, and wide receiver Julio Jones. Jones and Steelers wideout Antonio Brown are repeaters from 2015, along with Berry, edge rusher Khalil Mack of Oakland, interior lineman Aaron Donald of Los Angeles, linebacker Von Miller of Denver, and punter Johnny Hekker of the Rams. Also having previously made an All-Pro team: Seattle linebacker Bobby Wagner (2014) and Minnesota kick returner Cordarrelle Patterson (2013). First-timers along with the three rookies are Ryan, Johnson, Kelce, Beasley, Lee, Slater, Harris, Peters, Martin, Frederick, Oakland left guard Kelechi Osemele, Denver cornerback Aqib Talib, and Giants safety Landon Collins and interior lineman Damon Harrison. AP Sports Writers Paul Newberry and Schuyler Dixon contributed.